Do you know what hoop dancing is? Hoop dancing is a form of storytelling through dance. 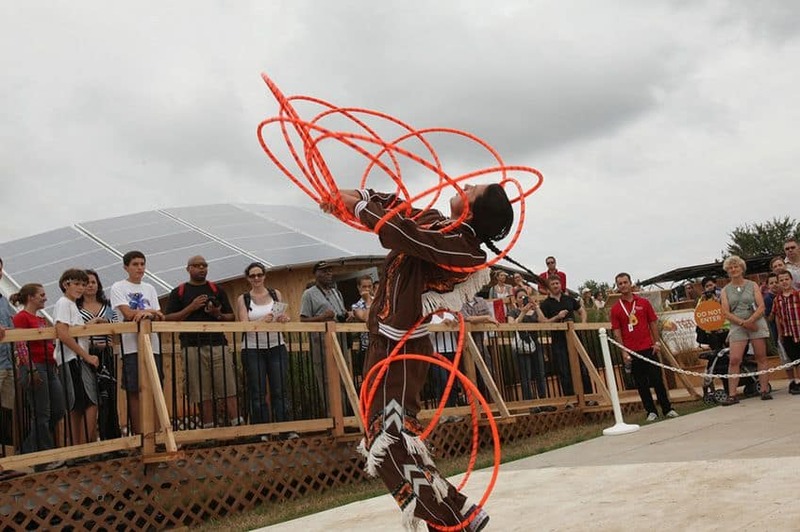 An Indigenous hoop dancer uses hoops to create shapes as they move to music. The hoops represent animals, symbols and designs and are sometimes put together to make spheres. Is hoop dancing like hula hooping? Not at all! Hula hooping is done with plastic hoops that people swing around their bodies with their hips. On the other hand, hoop dancing uses handmade hoops that are shifted into different positions — using feet or hands — to represent different things. Sometimes the hoops look like animals like butterflies, snakes or eagles. How long have people been hoop dancing? 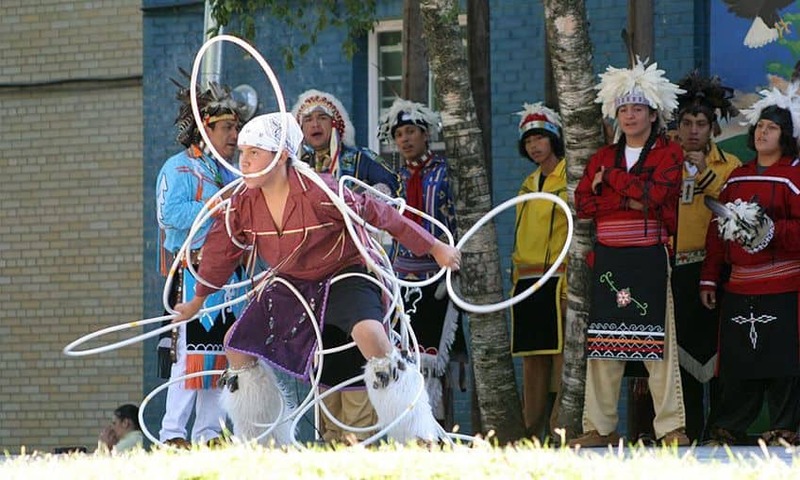 No one really knows how long hoop dancing has been around, but it’s safe to say that hoop dancing has been practiced by First Nations people for centuries. An Anishinaabe folktale says that there was once a boy who didn’t like to hunt or fish but who spent hours watching the animals in the wild. Eventually, the boy began copying their movements, spinning like an eagle and fluttering like a butterfly. He added the hoops and created a dance that he taught to others. How many hoops do the dancers use? It depends. Some dancers use only a few hoops while other hoop dancers use up to 50 hoops at a time! And that’s just one dancer. Can you imagine dancing while balancing so many hoops? Do the dancers wear special clothes? Yes! Just like in other traditional dances, First Nations dancers wear specially made regalia (say "re-GAH-lee-ah"). 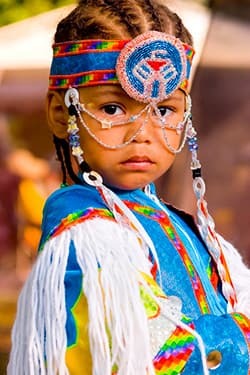 The regalia is colourful and often matches the specially made hoops the dancer is using. 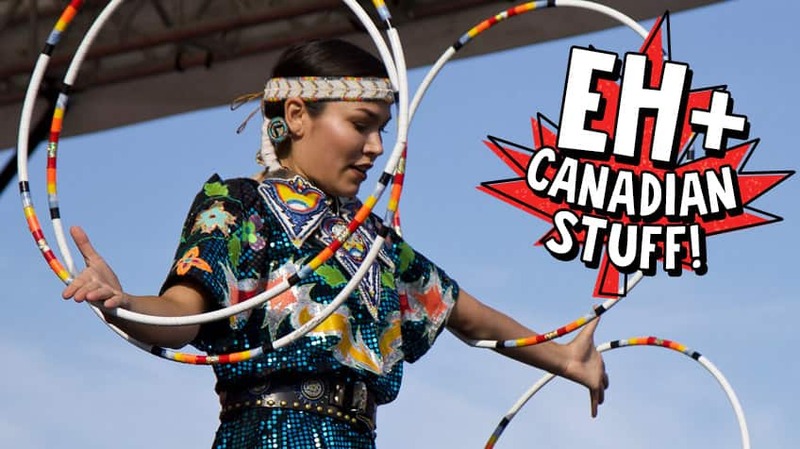 Where do First Nations people learn hoop dancing? Hoop dancing isn’t the kind of thing you can learn in a class. 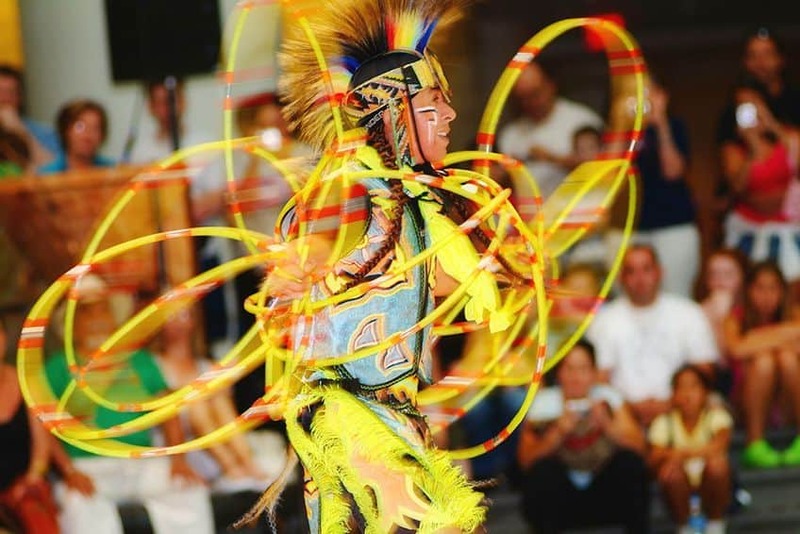 Like many traditions, hoop dancing is passed down from older, more experienced dancers to younger ones. Where do dancers get their hoops? Hoop dancers never buy their hoops in a store. Hoop makers learn the skill from someone who wants to pass the knowledge on. It’s a great honour to make hoops for dancing. Traditionally, hoops were made of willow, soaked in water until they could bend. 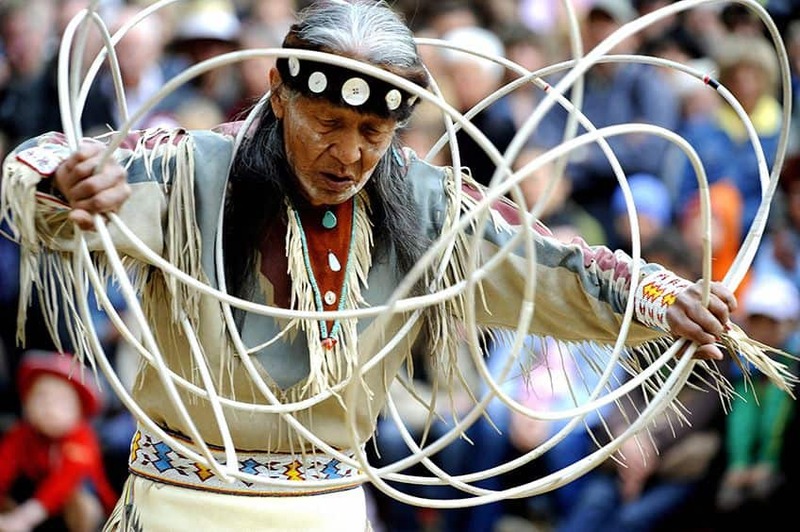 While some dancers still use wooden hoops, today it is more common to see hoops made of reed and hoops made of plastic because they last much longer. Do kids hoop dance too? Absolutely! 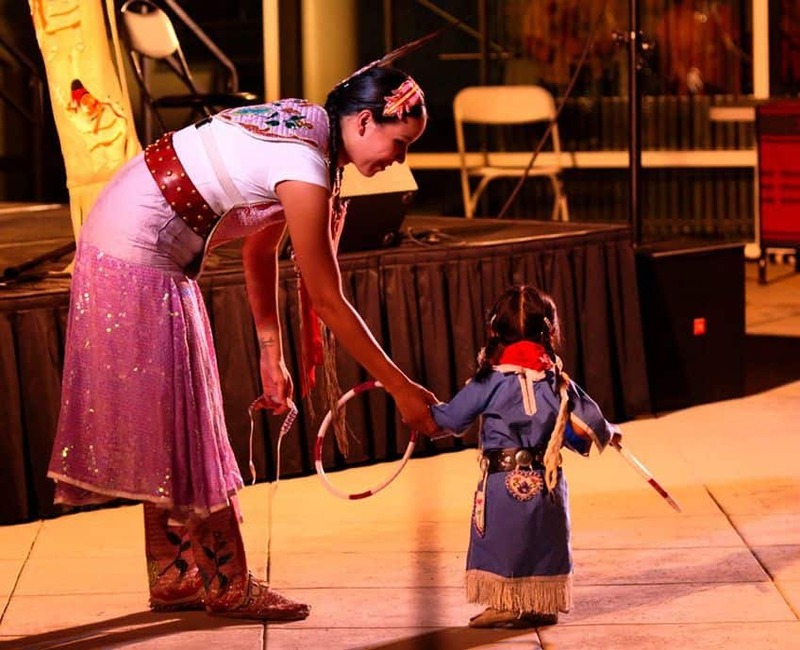 Just like any other traditional dance, children learn hoop dancing and can even compete at powwows. Do you know what regalia is? Do you know what a powwow is?